The new season is less than two weeks away. What better time to become a PASALB member? We have frozen membership prices for the 2015-16 season. Membership costs £10 for adults and £5 for senior citizens and supporters aged 18 and under. What do you get for your tenner or fiver? 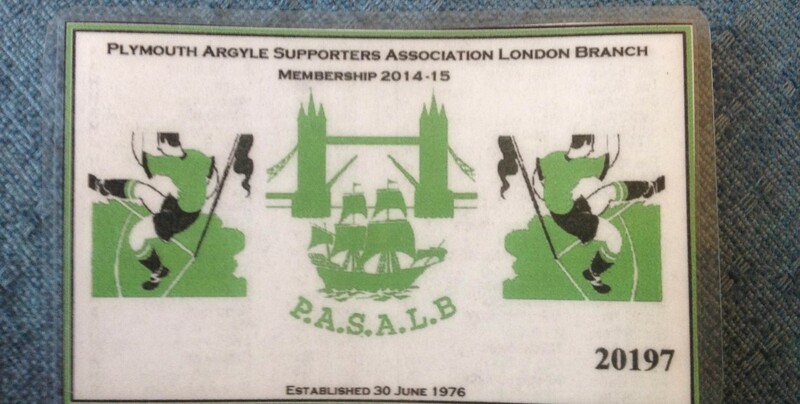 Discount travel to Argyle matches; a membership card bearing all the league fixtures; free entry to social events; and a travel guide full of information about the 23 far-flung locations the Green Army will visit during the season. The easiest way is to click the PayPal button on the website and follow the instructions. 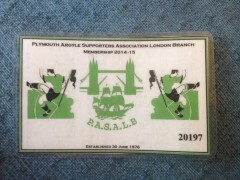 Alternatively, email membership@pasalb.london for details of how you can pay by cheque or bank transfer.